We have all been there – the mountain of laundry that seems to pile up no matter how often we attack it. You may wait until one day a week to tackle this feat while others, like me, attempt to do a load or two a day in order to keep it under wraps. Let me tell you, neither way works. There always seems to be more that needs to be done. LAUNDRY NEVER ENDS! But what about our other “dirty laundry”? You know the kind that we ALL carry that the world would refer to as shame. Things that have happened to us in the past, been inflicted upon us or created ourselves. 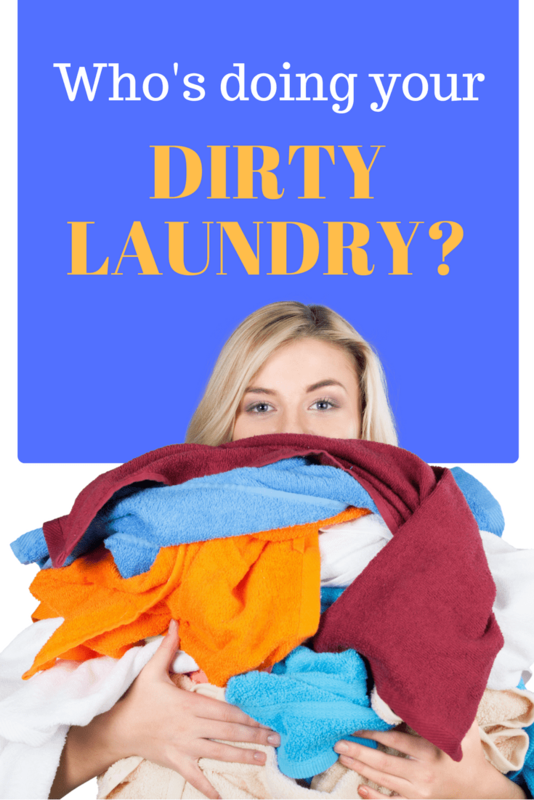 As moms it’s so easy to put that laundry on the back burner and tend to the laundry in our home. The good news though is that God wants to take that dirty laundry away from us. John 10:10 says that the evil one comes to kill, steal and destroy. But God wants us to live ABUNDANTLY. He is walking behind us carrying a laundry basket just waiting for us to toss all of our shame in and let him clean us so that we can be pure. You dirty laundry may consist of sexual unfaithfulness, lust, jealousy, selfishness, envy, loving wealth, wasteful, prideful, greedy, hating other, bitterness, cussing, lying, or slander. The list goes on and one and NO ONE, I repeat NO ONE is free from all of that. We are all carrying something that we can hand over to God in one way or another. The sad part is that you can only carry that burden for so long before it breaks you. When you let that secret go it can no longer have power over you!! God looks at your heart not what makes you presentable. Primping our hair, wearing designer clothes or outfitting our home to make it beautiful does not hide what we really have in our heart from God. He wants us to unload our laundry on him so that we never have to deal with it again. HOW AMAZING IS THAT!! How does this happen? You have got to decide that this is it. There is no going back and there is no promise that the road to cleanliness and purity is going to be an easy one. You may have to deal with a lot of lint that you find along the way but in the end God promises that you will be clean. Every one of us is promised a fresh start. For today, declare that there be no more secrets, no more lies, no more dirty laundry. From here forward you’re going to God, and you’re not looking back to the evil one that will zap his abundant life from you. Set down and write a letter to God and yourself. Start reflecting on Psalm 129. God designed us so uniquely before we were even created. We are worthy to God. If we continue to carry around darkness then we are denying what Jesus came for. A life abundantly, a light shining brightly. Reflect upon yourself and if you’re having a hard time, ask God to show you. You have got to be real and you have got to be honest. If you are not real and don’t look deep into your heart, change will not happen. I pray that this comes to your heart where you need it most today!